* Muscle meat cuts would be required to have separate born, raised and slaughtered origin details when applicable. * Muscle cut commodities of different origins would not be allowed to be co-mingled. * The definition of a retailer would be revised to include “any person subject to be licensed as a retailer under the Perishable Agriculture Commodities Act. Third time wasn't a charm for the instigators of a lawsuit to stop country of origin labeling (COOL) of beef from being implemented in the United States. Maybe it was "three strikes and you're out." After three rulings against the plaintiffs in the suit American Meat Institute (AMI) et al. v. U.S. Department of Agriculture et al., originally filed in July, 2013, the AMI and their fellow plaintiffs officially withdrew the lawsuit Feb. 9. "South Dakota Stockgrower members are proud of their USA born and raised cattle and we're happy the courts have ruled that consumers can continue identifying USA beef with the COOL label," said SDSGA President Bob Fortune in a news release this week. The suit claimed that first amendment rights were being violated. According to an earlier AMI statement, their lawsuit, which included fellow plaintiffs American Association of Meat Processors, Canadian Cattlemen's Association, Canadian Pork Council, Confedaracion Nacional de Organizaciones Ganaderas, National Cattlemen's Beef Association, National Pork Producers Council, North American Meat Association and the Southwest Meat Association, explained that they believed the final rule violates the United States Constitution by compelling speech in the form of costly and detailed labels on meat products that do not directly advance a government interest. They also worried that the 2013 COOL rules exceeded the scope of the statutory mandate. Three times the U.S. courts have ruled against the plaintiffs, and the meat groups decided that their efforts to stop COOL would be better used elsewhere, said National Cattlemen's Beef Association Vice President of Government Affairs Colin Woodall. While the NCBA was not the primary organization on the lawsuit, they helped make the call to drop the suit. "As one of the parties to the lawsuit, we were a part of the decision-making process. We decided there was no need to continue this path." NCBA has not weakened their position in opposition to COOL, however, and will continue battling it on other fronts, Woodall assures. "Our position on COOL remains the same. We are adamantly opposed to it. It is an artificial trade barrier put in place by disgruntled cattle producers and we will continue to work to repeal it," he said. Woodall added that COOL has "nothing the producer is looking for" and that there is "no benefit to consumers." Montana-based cattle organization Ranchers-Cattlemen Action Legal Fund- United Stockgrowers of America, a supporter of country of origin labeling, called the law "popular" with consumers and said it informs consumers where the meat they purchase was born, raised, and slaughtered. "COOL is a help to us," said Dr. Taylor Haynes, R-CALF USA Region 2 Director. 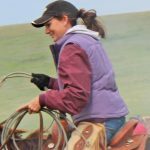 The Albany County, Wyoming rancher said that because 35-40 percent of the beef consumed in the United States is imported product, country of origin labeling is crucial to consumers who want to know more about the history of their food. "We're not saying 'don't import beef.' We're saying, 'let the consumer decide,'" he said. "We'll work with the competition, we'll deal with that, but when you unfairly don't say where the product comes from, it is unfair to consumers and really detrimental to our industry." Dr. Haynes said COOL is not harmful to the Mexican or Canadian cattle industries. "Don't think I'm hard-hearted, especially toward Canadians. The problem is that they haven't eradicated BSE. We've had it eradicated since the 1970s. Their beef isn't as safe as ours. That is the real problem. We shouldn't lower our standards so they can sell their beef here." Haynes said that U.S. ranchers make a genuine effort to produce "the best product in the world." On the international front, the meatpackers have an ally in the Canadian Cattlemen's Association who continue to lobby their national lawmakers to end U.S. country of origin labeling of beef. COOL opponents say that threatened retaliation by Canada and Mexico are concerning and that they hope to reverse the implementation of COOL in order to prevent any retaliatory trade measures from the U.S.'s neighbors. The World Trade Organization has ruled three times that the U.S. COOL law needs fixing. While USDA has responded accordingly to each ruling, a fourth ruling, in response to USDA's appeal, is expected this spring or early summer, Woodall said. "We will continue to watch the WTO. Congress will be ready to step in and make sure we don't see retaliation," Woodall assured. "Congress must abandon its efforts to meddle with meat labels, which are overwhelmingly popular with ranchers and consumers," said Mabel Dobbs, a rancher from Weiser, Idaho, and member of the Western Organization of Resource Councils, another COOL-supporting group. "Even the meatpackers have given up now on their effort to stop COOL in the courts. It's time for Congress to leave these commonsense labels alone," she said in a news release.